Thanks to Paul Bettany's portrayal of the character in the Marvel Cinematic Universe, Vision is now known to the moviegoing masses as a full-fledged member of the Avengers — but the super-powerful synthezoid hasn't always been a friend to Earth's Mightiest Heroes in Marvel Comics. He was created by Ultron, who used the body of the original Human Torch and the brainwaves of the comatose Wonder Man to make what he hoped would be a weapon of mass destruction to use against The Avengers, but (just as he does in 2015's Avengers: Age of Ultron) Vision ends up joining them instead. Since his introduction in the late '60s, the character has been the focus of some truly memorable Marvel arcs, though some of those stories simply aren't suitable for the big screen and most definitely don't fit in with the popcorn-movie approach adopted for the MCU. It isn't just the adult themes and horrific traumas of Vision's past that Marvel would like to keep hidden away from the casual fan, either. From his undeniable similarities to a certain pre-existing DC character to his penchant for completely destroying humanity, this is what Marvel wants you to forget about Vision. 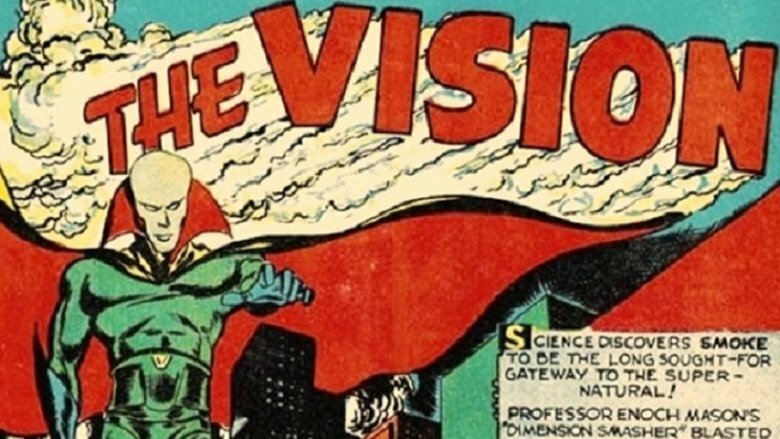 The version of the Vision made popular by the Marvel Cinematic Universe has been around in the comics for several decades now, but he wasn't actually the first character to use this name. In November 1940, four weeks before Captain America made his bow, an alien lawkeeper by the name of Aarkus was introduced to the Marvel Universe, appearing through a smoky portal in the pages of Marvel Mystery Comics #13. He announced himself as the Vision and (after freezing a mobster alive) explained that he'd come to Earth to fight crime, but his vigilante spree didn't last very long — the character's last appearance was in 1943's Marvel Mystery Comics #43. 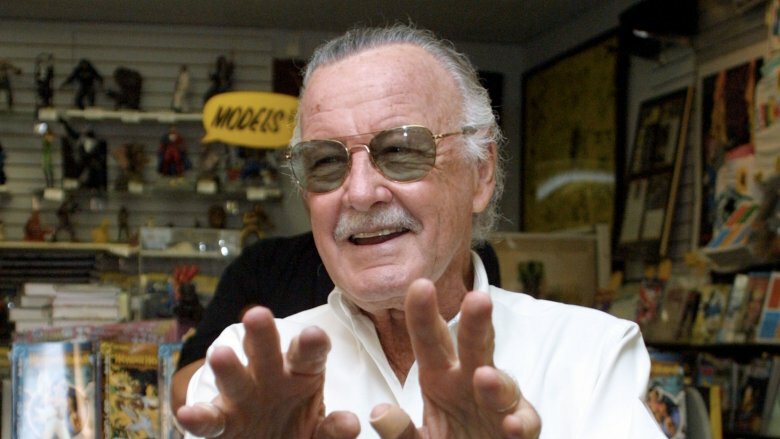 In 1968, Marvel scribe Roy Thomas approached Stan Lee about adding Aarkus (a.k.a. the Vision) to the Avengers lineup. He'd grown frustrated at not being able to use the likes of Captain America, Iron Man and Thor (they were appearing in other books as the time) and wanted to bolster the ranks with the alien hero, but Lee had other ideas. "I suggested we bring Aarkus Vision in, Stan said no," Thomas told Back Issue. "He wanted the new Avenger to be an android, though he never said why. I guess he reasoned that I'd figure out what to do with him — or it. So, left to my own devices, I split the difference and called the android the Vision and adapted the old costume, but little else, for the new character." The Silver Age Vision created by Thomas in '68 shared a name and some costume similarities with the Golden Age Vision, but his power set and origins were completely different. If he was essentially a new character, why didn't Thomas just come up with a new name? As he told The Hollywood Reporter, he used a pre-existing Marvel name because he didn't want to create a brand new property, knowing that he wouldn't actually own it. Thus, the early version of the Vision we know and love was born, but that birth wasn't exactly a joyous occasion. When Stan Lee first laid eyes on the android Avenger he'd asked for, he didn't like him one bit. "Stan hated the color of the Vision," Thomas revealed. "'Why'd you make him red? Red's not a good color!' I didn't want to make him green like The Hulk or blue like the Atlanteans. I suppose I could have made him white, but the paper we printed on was so poor, that you would have been able to see the other side, so we didn't make things white that we didn't have to." It wasn't just Vision's appearance that Lee took issue with, either — he also hated the name. "I don't think he ever thought the Vision was a really strong name," Thomas added. "It seems a little wimpy, but I felt Vision — it really means like a ghost or a mirage or an image." Since the MCU took off with Iron Man in 2008, Marvel have released Avengers Origins: Vision and Vision Vol 2. Both of these comics portray Vision in a form that moviegoers are familiar with, which the company has done with several of their characters in recent years. Star-Lord and Hawkeye have both been made to look like Chris Pratt and Jeremy Renner in print, and comics Loki now looks suspiciously like Tom Hiddleston. The trouble with using this tactic on Vision is that the other version of the character still actually exists. In the early '90s, Roy Thomas got his original wish and was given permission to bring Aarkus Vision back into the Marvel Universe. 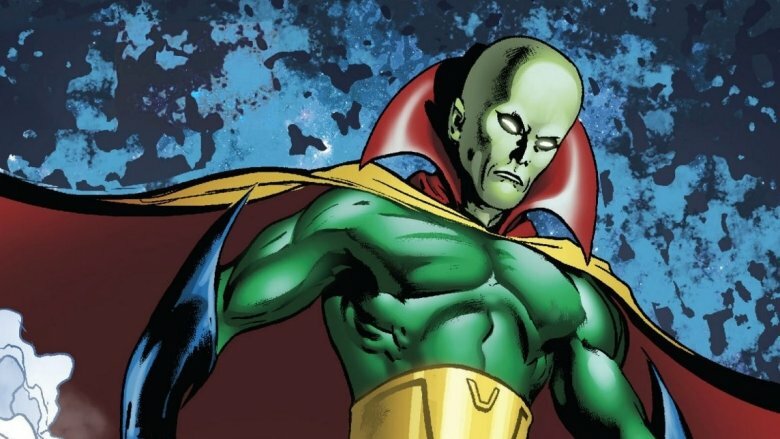 The Golden Age alien returned to action in Invaders #3 (July 1993). "All I can say about the '90s version was that the editor asked me to do the series, and I was delighted," Thomas said. "Mike Rockwitz was the editor who assigned me that four-issue Invaders series. I had to generally okay the plotlines with Mike, but that was about it." The original Vision continues to pop up from time to time, helping out his still-active Golden Age allies (he's apparently on good terms with Captain America) whenever they need a hand. 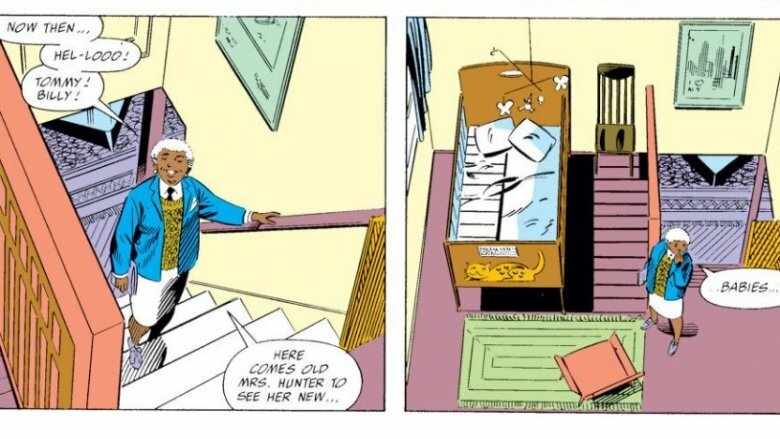 It's all a little confusing, which is why Marvel is banking on you not digging too far into the original Vision's early appearances (which, sadly, contain a racially insensitive butler character that for sure wouldn't make it to print today). Is Vision just a ripoff of DC's Red Tornado? Going by the dates, the answer to that question is yes. The Red Tornado (himself an android-inspired reworking of a Golden Age character of the same name) made his debut appearance in August 1968's Justice League of America #64, two months before Marvel introduced the new Vision to Avengers readers. In the issue, Black Canary, Flash, Starman, Hourman and Dr. Fate are shocked when a robotic version of the hero they once knew arrives at the JSA headquarters. They're skeptical of his motives at first, but as this new android Red Tornado has memories of the Justice League that only he could have, they let him tag along while they dispatch a number of other, less friendly androids attacking a nearby museum. The similarities between the two characters were striking — both had red skin and a green, high-collared costume, and both were created by a supervillain to destroy a team of heroes, a team that they ended up joining. 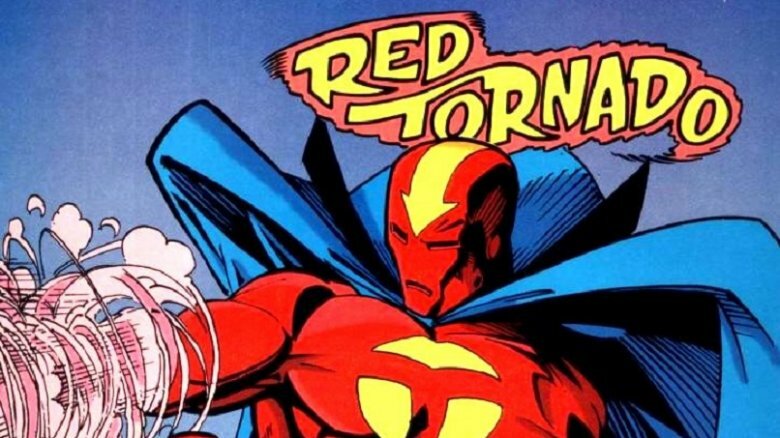 "I don't know how that happened, but it's interesting," Roy Thomas said of the remarkably close proximity between the debuts of Red Tornado and Vision. In truth, we'll never be 100 percent certain which came first; according to ComicCoverage, it took between three and four months to go from a concept to a printed book at the time. Another theory about Vision's creation is that Marvel basically saw what the writers of Star Trek were doing with Mr. Spock at the time and more or less copied them, creating what was essentially a superhero variation on Leonard Nimoy's half-Vulcan character. Yes, Spock is an alien and Vision is a synthezoid, but the way they play off their respective crew/teammates with their straight-laced logic and frank delivery has the same impact. Both characters serve the same function — they're wells of knowledge that, in spite of their outward coldness, long for acceptance. There's most definitely undertones of Spock in Vision's genetic makeup, and if you don't believe us, just ask Roy Thomas. "I was influenced a little bit by Mr. Spock," the Vision creator revealed during a sit-down with The Hollywood Reporter. 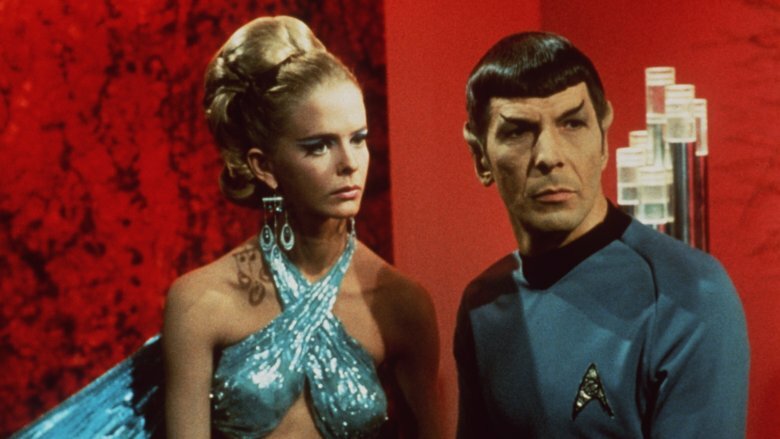 "Though, I didn't see any of that [Star Trek] much on TV. I used to hear it on the TV in the next room when I was playing poker on Friday nights." Even if it was subconsciously, it's clear that Spock made an impact on the writer, but Star Trek wasn't the only early sci-fi property that Thomas drew from. "A comic book writer who became a friend of mine in later years, Otto Binder, back in 1939 or '40, he had written the original title of the story I, Robot, about a robot with human intelligence and feelings named Adam," he added. "That was one of the first sympathetic robot stories." Vision and Scarlet Witch both joined the Avengers as outcasts from humanity, and against the odds (and laws of nature), the synthezoid and the mutant became romantically involved. Fans of Marvel movies will know that the pair have feelings for one another, but you probably don't know just how intense those feelings have gotten over the years. The heroes became machine and wife in Giant-Size Avengers #4, exchanging vows at a double wedding ceremony in Vietnam — Mantis and Swordsman (who wasn't actually hero Jacques Duquesne, but a Cotati alien possessing his body) also got hitched. Things started to get really messed up when the newlyweds decided to move to the suburbs, hoping that a nice house with a big garden and a white picket fence would make them feel more human. They soon became the victims of discrimination from unwelcoming neighbors, but their spirits were lifted after Scarlet Witch (real name Wanda Maximoff) fell pregnant. That's right; her robot husband got her pregnant and she gave birth to twin boys, delivered by fellow Avenger Doctor Strange. How is this possible, you're probably asking (and if you're not, you should be)? Well, Maximoff's pregnancy came about through a combination of her probability-altering hex powers and some ancient witchcraft. "It was the Magick, wasn't it?" Vision asked after hearing he was to be a father. "The force that got away from the witches of New Salem, that you funneled through yourself?" Much like the writers, Maximoff didn't have a convincing answer. The fact that Vision and Scarlet Witch were able to conceive at all was a little far-fetched for a title released towards the end of the Bronze Age, but Marvel wasn't going to worry about readers understanding the twins, as they planned to kill them both off anyway. Thomas and William vanished under horrific circumstances, with their new babysitter "Old Mrs. Hunter" finding their cots empty. Turned out little Tommy and Billy were just apparitions fueled by Scarlet Witch's powerful subconscious. The curly-topped tots were actually magical/demonic hybrid constructs, not miracle children. 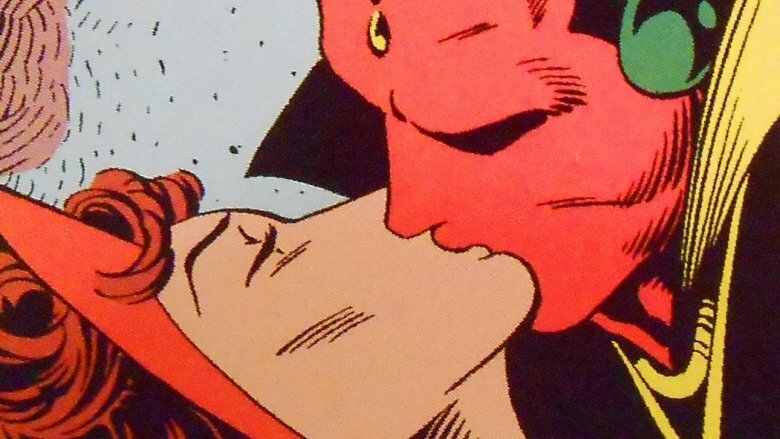 We later learned that Maximoff had used slivers of Mephisto's life essence to impregnate herself. When Mephisto reabsorbed that essence, Vision's little boys simply ceased to exist. Scarlet Witch was driven temporarily insane by the whole ordeal, and her marriage to Vision deteriorated in the aftermath. The two separated and started operating on different Avengers teams, though there was some semblance of a happy ending years later when Young Avengers introduced Wiccan and Speed, believed to be the reincarnations of the twins. According to a casting call on Auditions Free (via CBR), Marvel is looking for some two-year-old identical twins for the fourth Avengers movie, indicating that Vision and Scarlet Witch's kids will be making a brief appearance. There's a high probability that this will be part of a future vision, but even if they are eventually born, you can bet your bottom dollar Marvel won't let them die soon after. Years later, Vision returned to the burbs. Vision Vol. 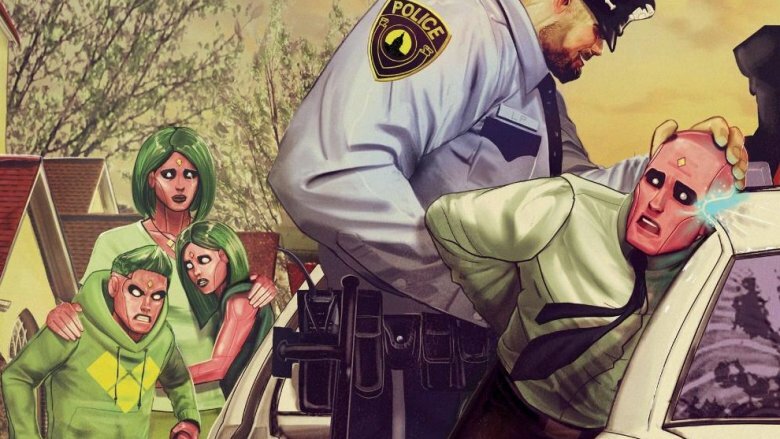 2 ran from January to December 2016, and in those 12 months, writer Tom King took the character down one of his most memorable arcs to date. In it, the eponymous synthezoid creates a family in his own image; wife Virginia (made with his beloved Scarlet Witch's brainwaves), teenage twins Viv and Vin, and dog Sparky. On the surface, what happens next is typical superhero fare (the Grim Reaper shows up seeking revenge on Vision), but the writer's real intentions soon become clear. "Through the desires integral to the Vision's character, King is able to deliver an apt commentary on the nature of the American suburb and its ideals; namely whiteness," ComicsVerse said of the cult series. "The Vision does everything possible to assimilate into suburbia… However, he and his family face a great deal of adversity at the hands of suburban figures of authority: the principal and the police officer. Even their neighbors make it clear that the Vision and his family are not wanted, based on intrinsic physical qualities that they are unable to control." The Visions were an allegory for the immigrant experience during a tumultuous period in U.S. politics. Their struggle (and failure) to find acceptance is the underlying theme of Vision Vol 2, and while it would probably make for a great adaptation in the hands of the right filmmaker, Marvel Studios will be happy keeping this gem hidden for the time being. 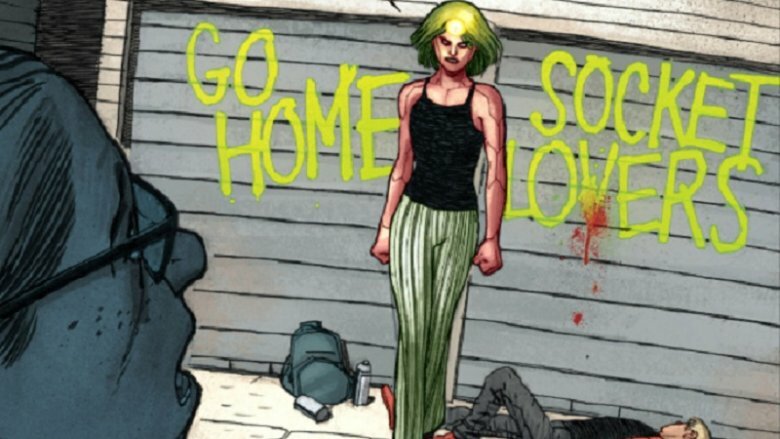 Virginia ends up committing suicide in Vision Vol. 2, but her decision wasn't solely based on the discrimination she'd experienced; it had just as much to do with a vision of the future she saw after ingesting an everbloom petal. In this vision, Virginia saw her husband laying waste to the whole world in order to protect her from it and she decided to check out, preventing tragedy on a global scale. This wasn't the first time Marvel had played with the idea of Vision being a threat to humanity. In 1985's Avengers #253, Vision abandoned his physical form so he could assume control of the world's entire computer network and create a new paradise on Earth. The Avengers had started to become wary of his odd behavior over the previous few issues, and after discovering his deception, they were forced to stop him. Vision's actions led to him being dismantled by government officials, but he wouldn't stay bits and pieces forever. Marvel played with the idea of a villainous Vision as recently as 2017, when they made him part of the Hydra Avengers, the team of heroes-gone-bad featured in summer 2017 crossover event Secret Empire. Under the control of an A.I. virus created by Arnim Zola, Vision helped launch an attack on a temple in Atlantis and keep guard over the imprisoned mutant Sunfire. Don't expect Marvel Studios to go down this route anytime soon, however — Secret Empire was generally viewed as a disappointment that Marvel Comics would probably rather forget.